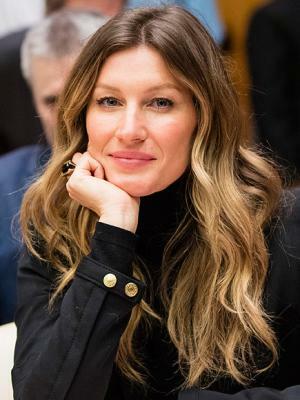 Born on 20 July 1980 in the Brazilian state of Rio Grande do Sul, Gisele Caroline Bündchen is hailed as one of the world’s real supermodels, as well as being an actress and UN Ambassador for the Environment. One of the best-known and most influential models on the planet, Gisele Bundchen has been credited with bringing about a new era in modelling. Bündchen’s record includes stints as one of the angels of “Victoria’s Secret”, over a dozen campaigns with “Dolce & Gabbana” and countless appearances on book and magazine covers. This impressive list of achievements goes a long in explaining why “Forbes” magazine named Gisele Bundchen the best-paid models of recent years – and where her astonishing net worth comes from. So just how rich is Gisele Bundchen? The Brazilian fashion model and actress, Gisele has, over the course of her illustrious career, amassed an estimated net worth of $360 million, in a period spanning a little over 20 years. Gisele rose to fame from entirely ordinary origins – her mother and father were, respectively, a university teacher and a bank clerk. Nonetheless, Bundchen’s modelling career started early and escalated quickly – the future world-famous supermodel enroled in her first modelling classes when she was only thirteen. It took Bundchen all of one year to begin her career as a professional model from there – in 1994, she was already appearing in worldwide beauty contests, travelling to Ibiza in Spain to take part in the “Elite Model Look” world contest. Bundchen ended up in fourth place there, which was enough to see her career off to an amazing start. Within two years, Bundchen was already making appearances on fashion shows in New York, and the year after that she was chosen to take part in the presentation of British designer Alexander McQueen’s new spring collection. That same year, Gisele Bündchen made her first appearance on the cover of the British “Vogue” magazine, and her career and net worth both looked to be on the rise. Since then, Gisele Bündchen has gone on to find incredible success. Within four years of her first cover appearance for British “Vogue”, Bundchen had already set the record for the most cover appearances in the shortest span of time – proving even more popular than the famous British fashion model Kate Moss. In addition, Bundchen’s net worth certainly benefited from her stunningly profitable contract with “Victoria’s Secret”, which also paved the way for further appearances on the covers of various magazines, including “Rolling Stone” – Bundchen was only the fourth model to ever feature on the cover. In addition, Bundchen began her acting career in 2004 with her debut film appearance in the American remake of the French comedy “Taxi”, appearing opposite lead actress Queen Latifah. Bundchen owes most of her considerable wealth to her wildly successful career as a professional model – Bundchen has often been hailed as one of the most accomplished models in history. It comes from this that she is also one of the world’s richest – Bundchen’s earnings in 2013 alone have been estimated at an astonishing $42 million. As Gisele Bündchen continues to appear in various fashion shows and grace the covers of magazines worldwide, it is obvious her net worth will continue to grow. In her personal life, in 2009 Gisele Bundchen married American football player Tom Brady, who currently plays as quarterback for the “New England Patriots”. Bundchen and Brady have two children together – their son Benjamin and their daughter Vivian.